During the winter months, about 15 percent of Americans suffer from a mood disorder known as seasonal affective disorder (SAD). SAD symptoms are similar to those of depression -- feelings of sadness, low energy, sleep problems, irritability, unexplained weight loss or weight gain, anxiety, social isolation and, in severe cases, suicidal thoughts. The difference between general depression and SAD is that sufferers generally gain weight and only experience depression symptoms during aspecific and recurring time of the year. Seasonal depression impacts significantly more women than men. Among people with SAD, 60 to 90 percent are women, and women between the ages of 15 and 55 are at highest risk. Most people with this problem wait too long before seeking help. If you have many of the symptoms above, or if you think you might have SAD, you should get a medical or mental health evaluation. If you are suffering from SAD there are treatments that can help you feel better. Seek the Sun. 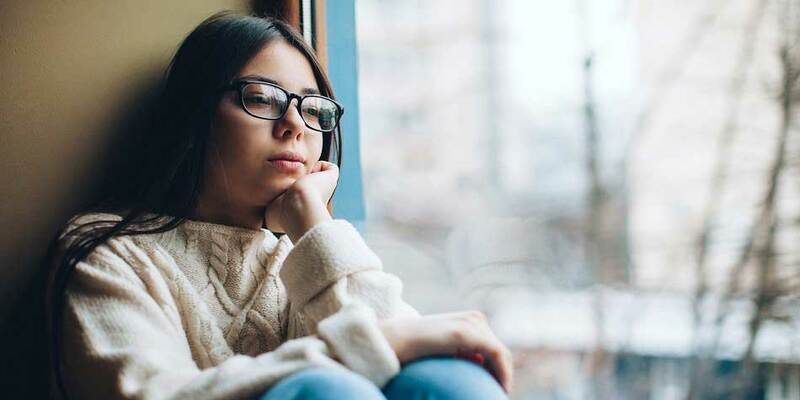 During the colder winter months, it's easy to stay indoors to keep warm, but researchers think that SAD is related to a lack of exposure to sunlight. So you want to get out when you can. Stay Social. Avoid the tendency to "hibernate." Schedule regular social outings and events and go even if you don't feel like it. Be Active. Even moderate exercise, like walking, can make you feel better. A regular exercise routine can help boost your mood during the darker months. Hit the Hay. Maintaining a regular sleep cycle can help keep depression at bay. The more consistent your sleep schedule, the better you'll feel. As with exposure to sunlight, regular exposure to artificial light can help reduce symptoms of seasonal depression and boost your mood. Medication. Antidepressant medication can be very effective at treating SAD. Talk with your medical provider about what medications may help you improve your mood during the winter months. Psychotherapy. Talk therapy can help you move past unhealthy thinking and behavior patterns that may precipitate or worsen your depression. Therapy can also help you learn coping skills to effectively manage your seasonal depression now and in the future. Should you be screened for depression? Find out here.